Manufacturer of a wide range of products which include frp lining services and frp lining. We are Leader of FRP Lining Services, These have got an accurate thickness of finished fills and an absolute correct heat distortion temperature. 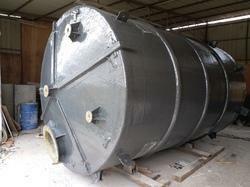 It has a unique quality of efficient heat transfer and conducive to evaporation in the Cooling Towers. We are engaged in offering our clients with first class of FRP Lining for MS Tanks built from the top raw materials ,gathered from our reliable vendors in the market. The manufacturing of the linings are further backed by experts, who make their living by perfection. The lining and the pistons we provide, have high durability,its anti corrosive and fine-finish which is perfectly suitable for Ms tank. Thus,we deliver our clients with not only our products but also our trust and expectation.